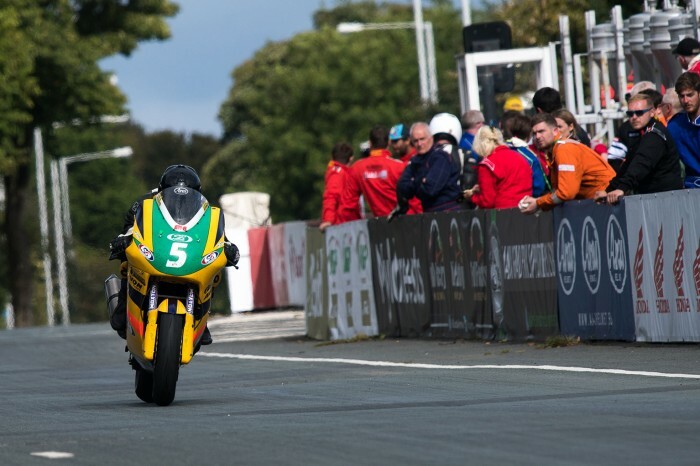 Reigning Manx Grand Prix Supertwins Champion Jamie Hodson has died following an accident at the Ulster Grand Prix. It is with much regret that the Dundrod and District Motorcycle Club confirm that a rider was killed following a crash during the Dundrod 150 National race on Thursday 10th August. 35-year-old Jamie Hodson from Wigan was involved in an incident at the Joey’s Windmill’section of the circuit. His brother Rob Hodson was involved in the same accident, but has no serious injuries. An experienced rider, Jamie was the reigning Manx GP Supertwins champion, and this year achieved a top ten finish in the TT Lightweight race. The Dundrod & District Motorcycle Club would like to express its sincere condolences to Jamie’s family and friends and requests that their privacy is respected at this difficult time.